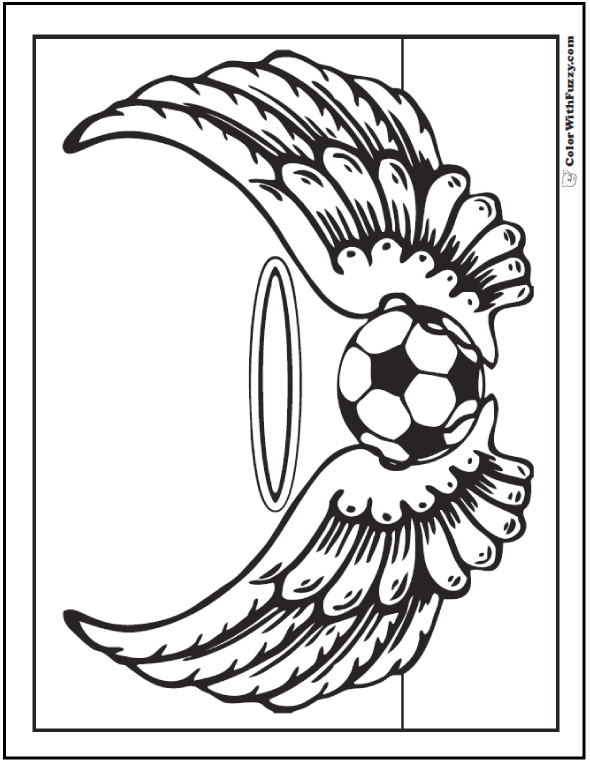 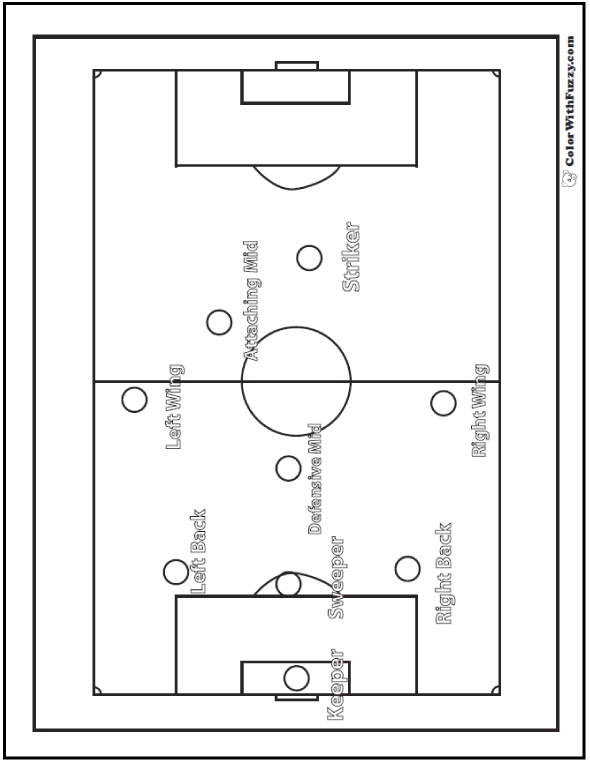 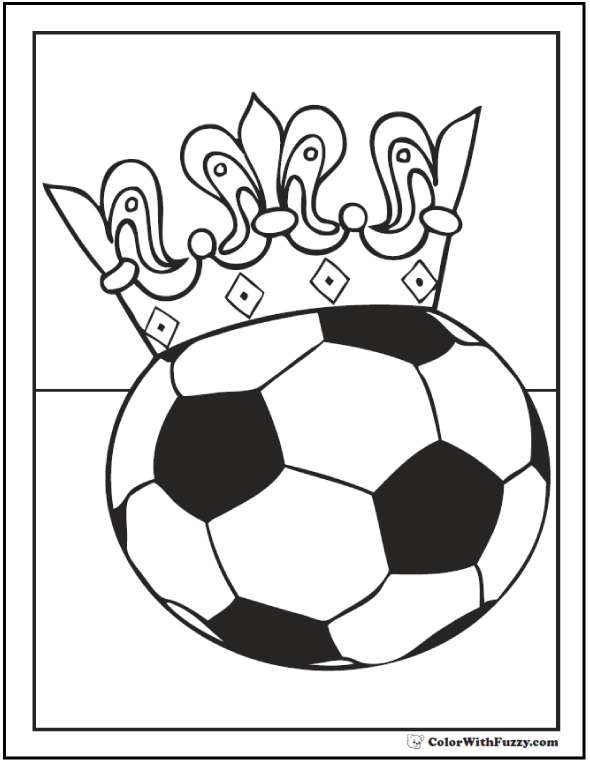 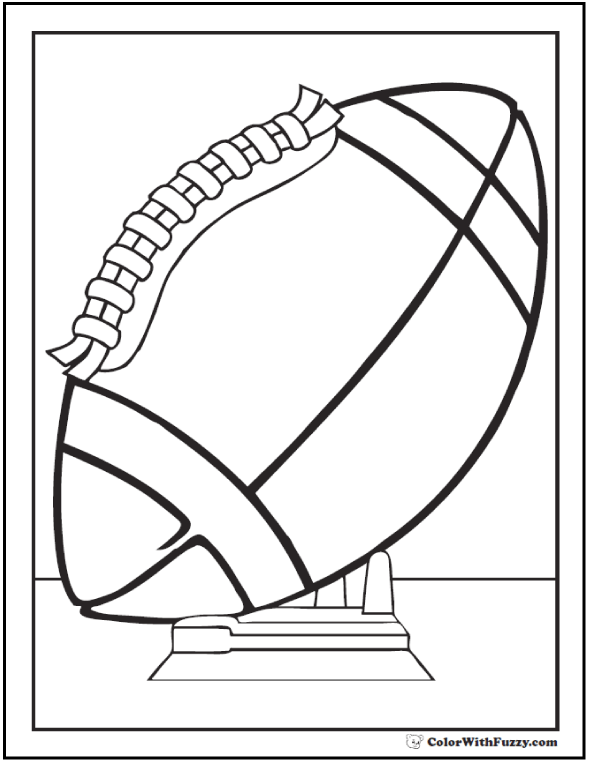 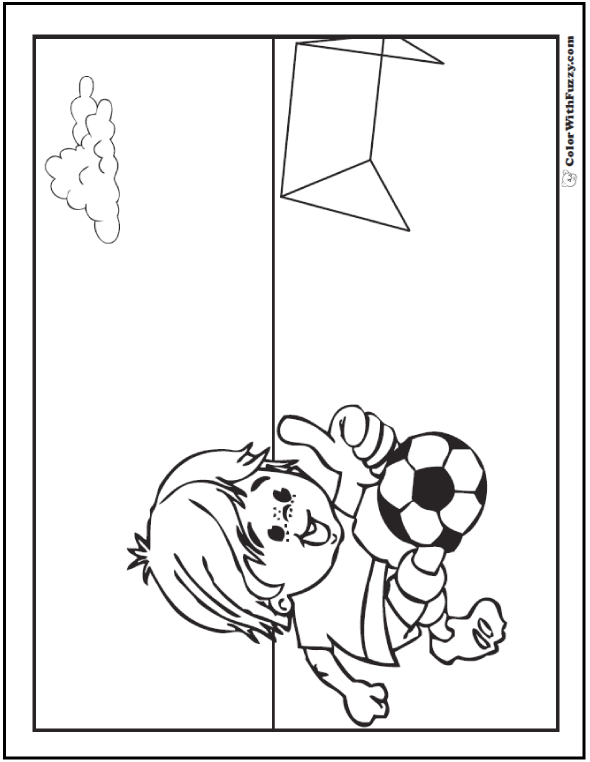 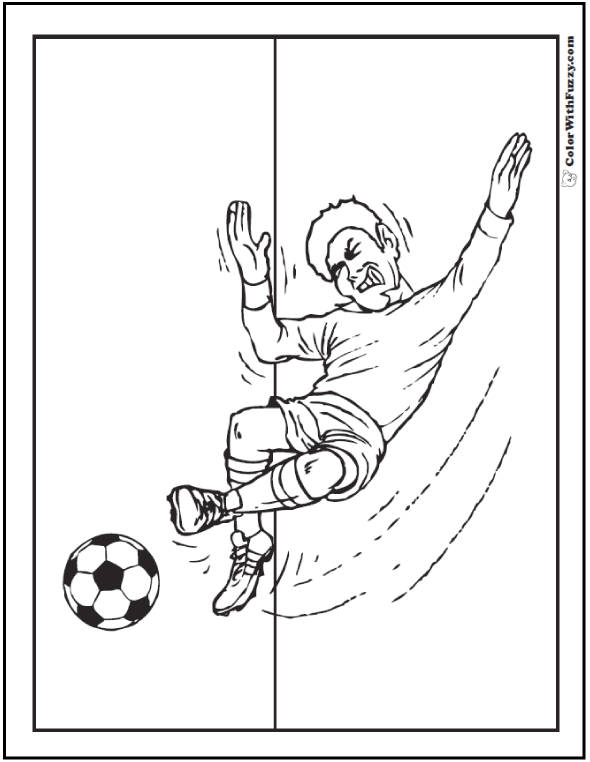 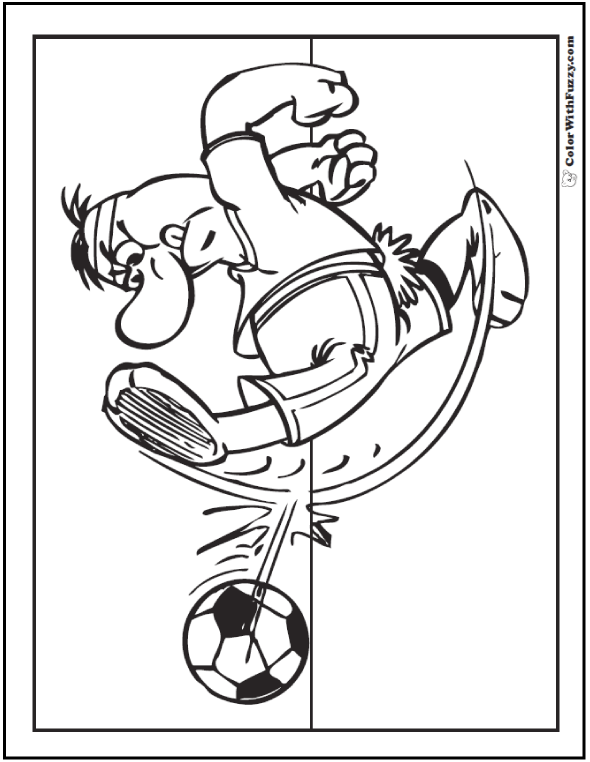 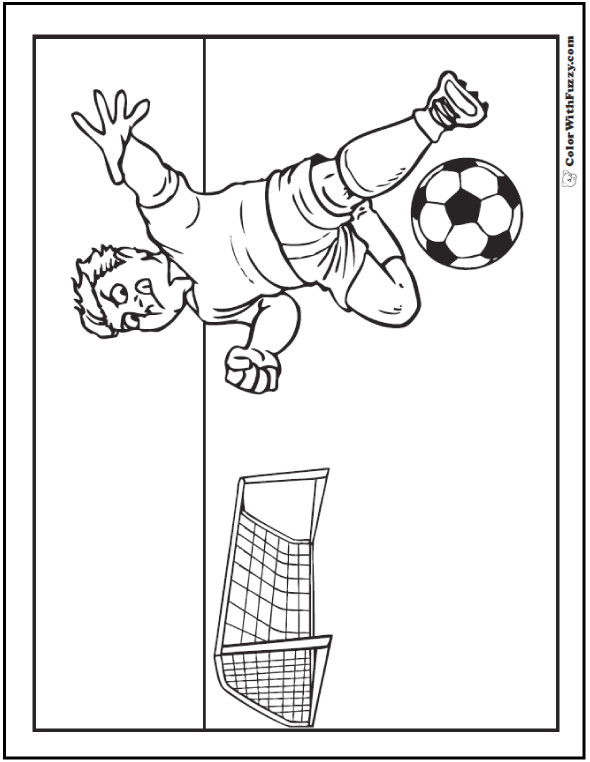 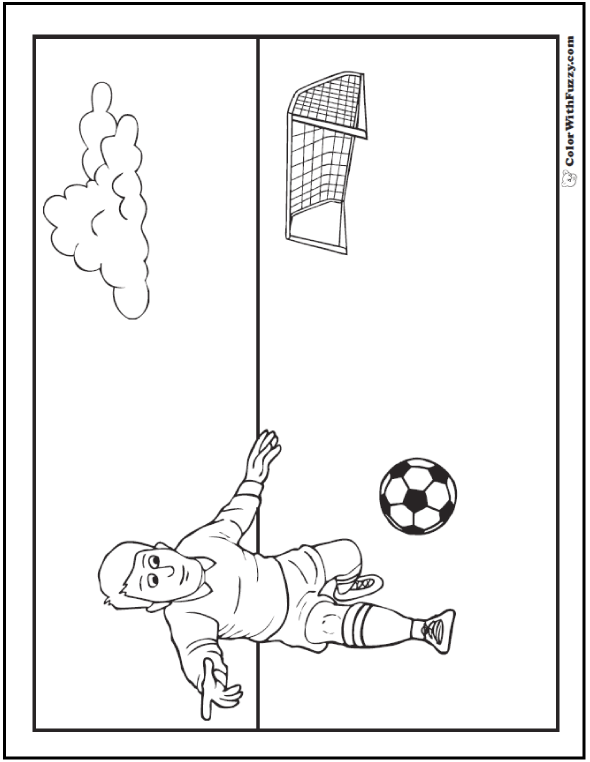 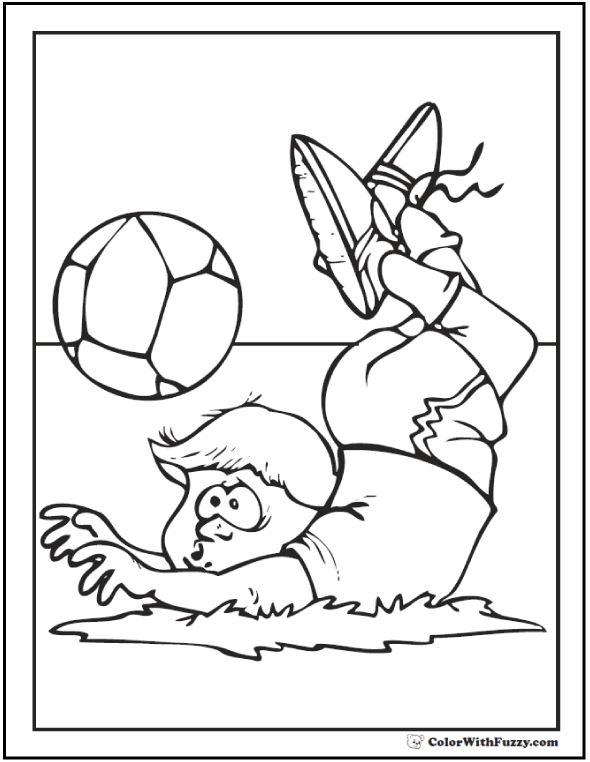 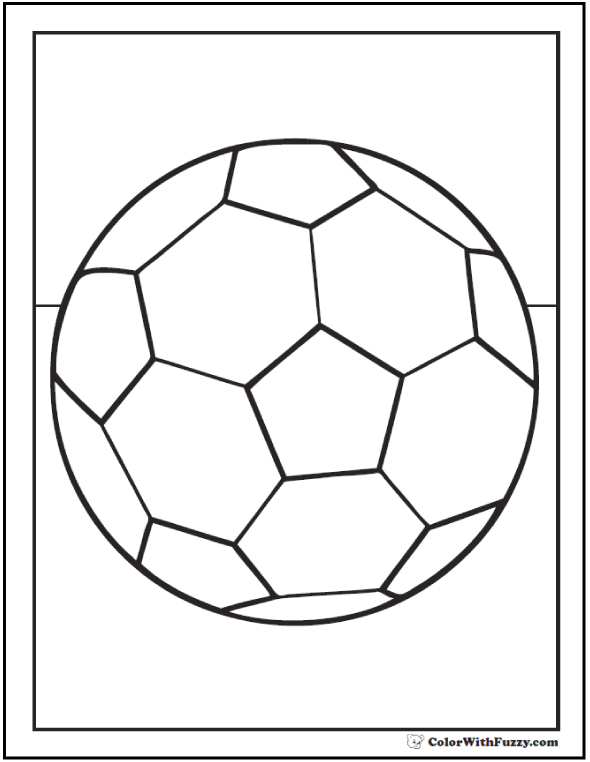 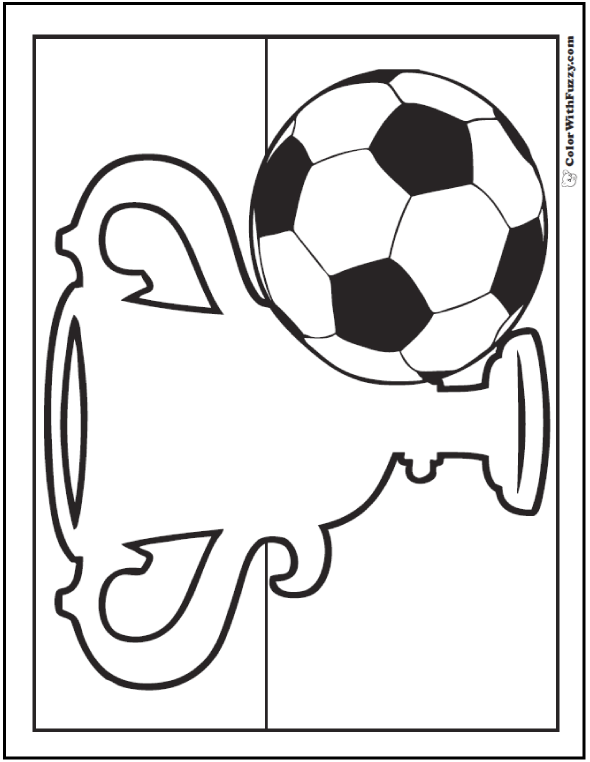 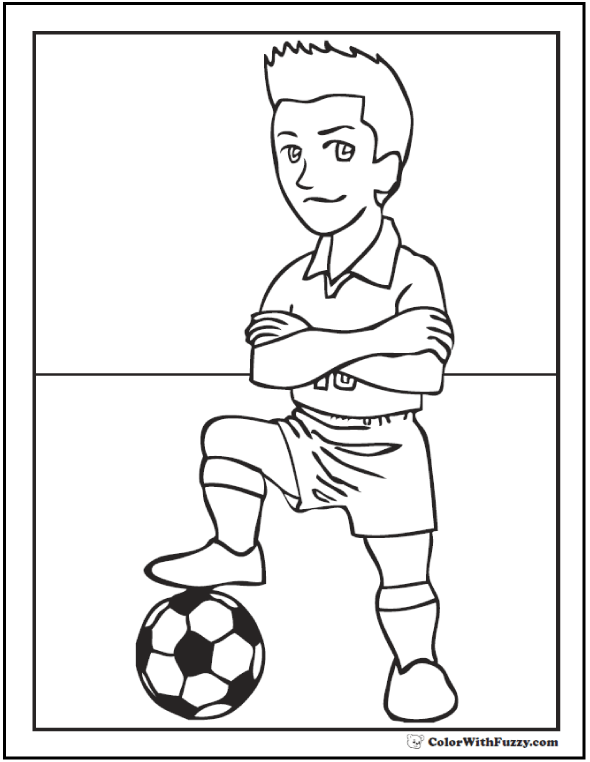 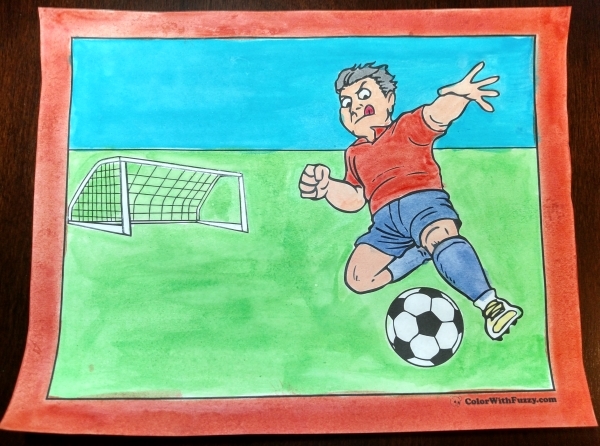 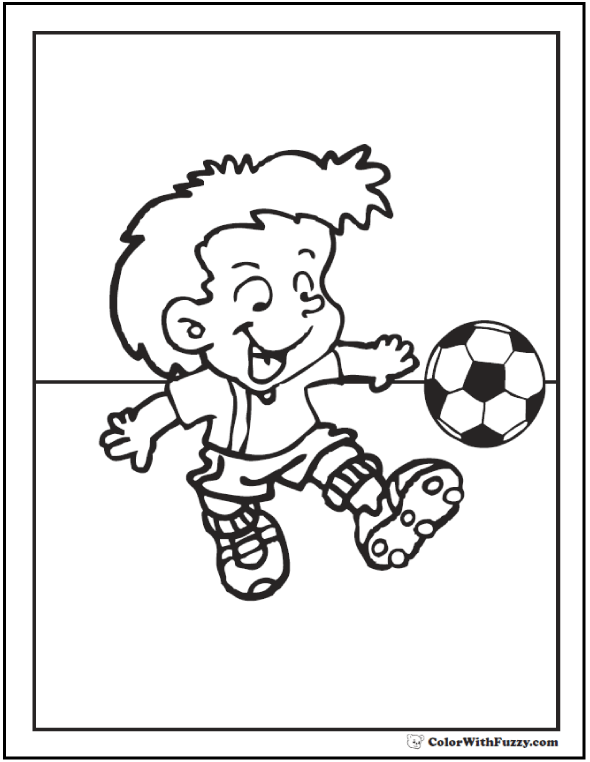 Capture the moment with my soccer coloring pages! 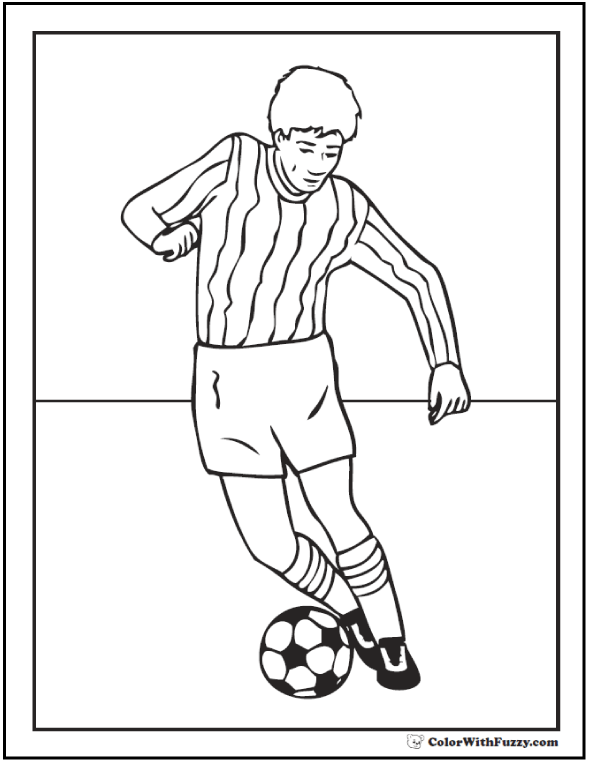 Do you know how to juggle a soccer ball? 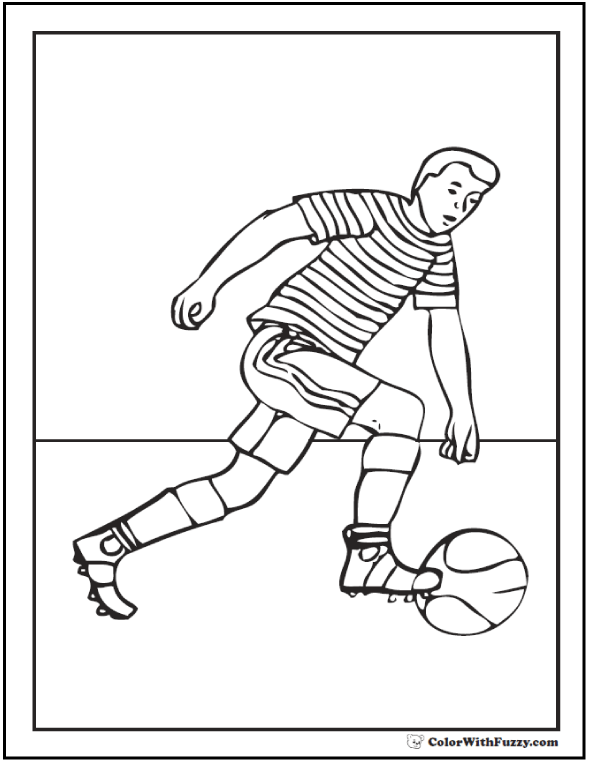 Dribbling and juggling are soccer tricks that help you win the ultimate game. 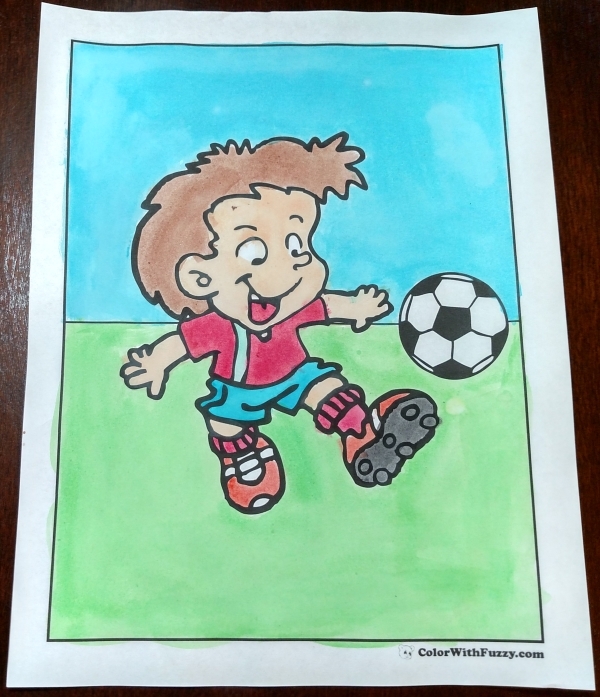 I've got pictures of several different soccer moves that are great for teaching toddlers, Pre-K, and other beginners how to play soccer. 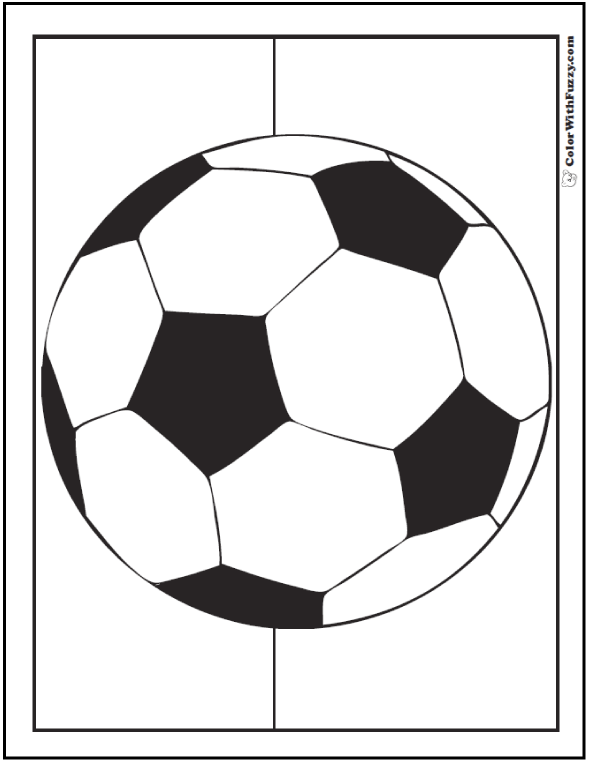 Here in the USA we call this soccer, but other countries call this football. 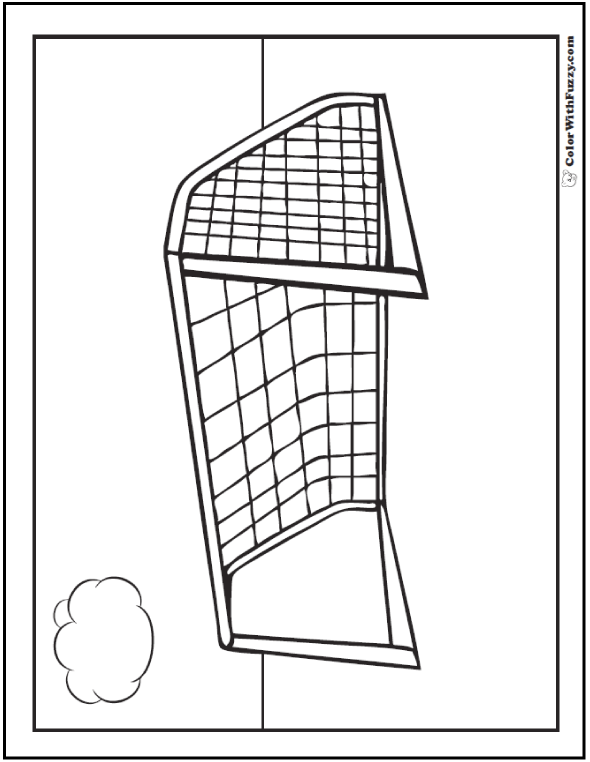 There is another game called rugby, too. 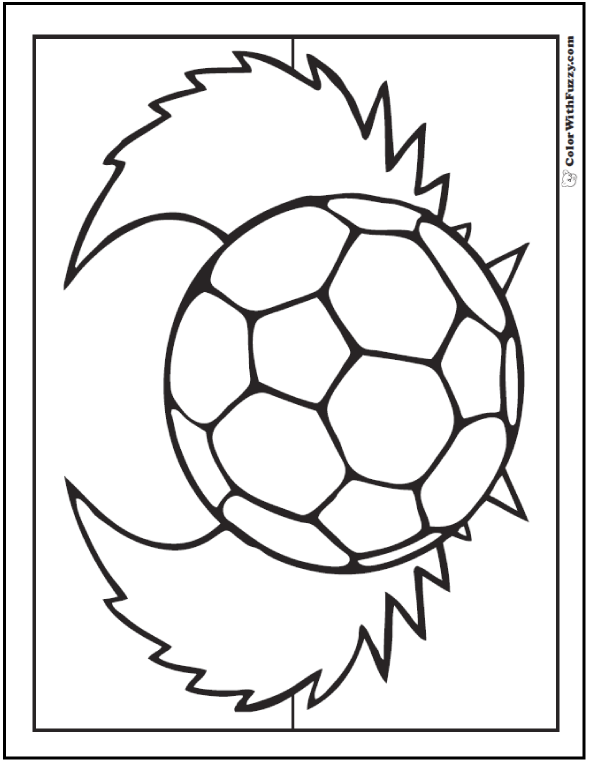 Show your spirit and use your team's colors. 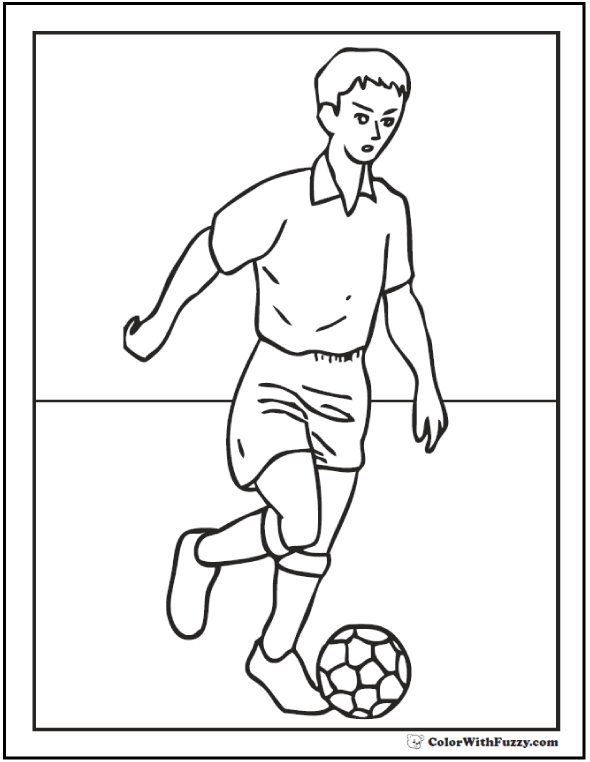 Soccer players work hard to drill and practice in order to stay in shape so they can win the game. 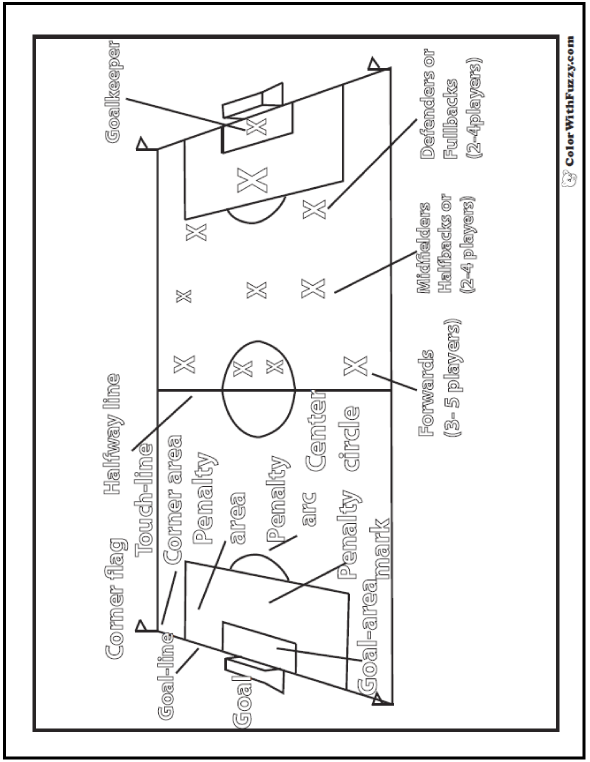 I really like when coaches help their players with ideas for diet and fitness. 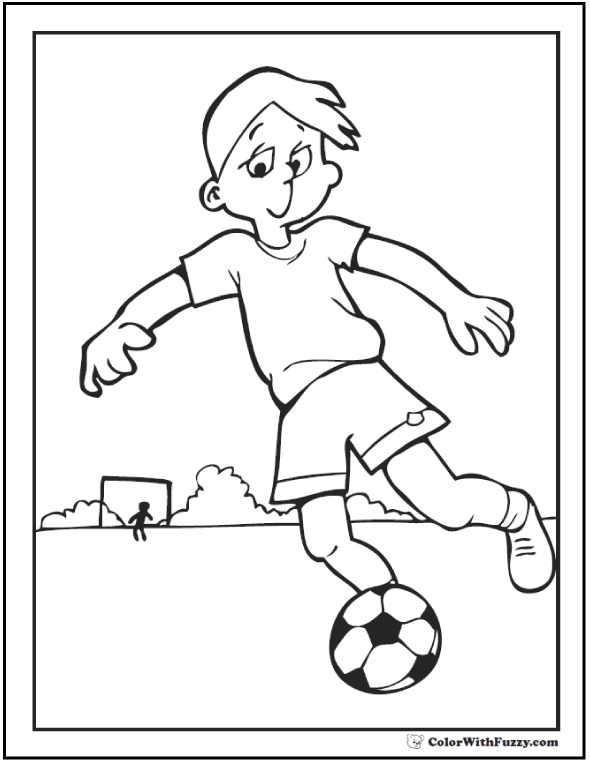 Soccer practice helps you gain stamina and strength to last the whole game. 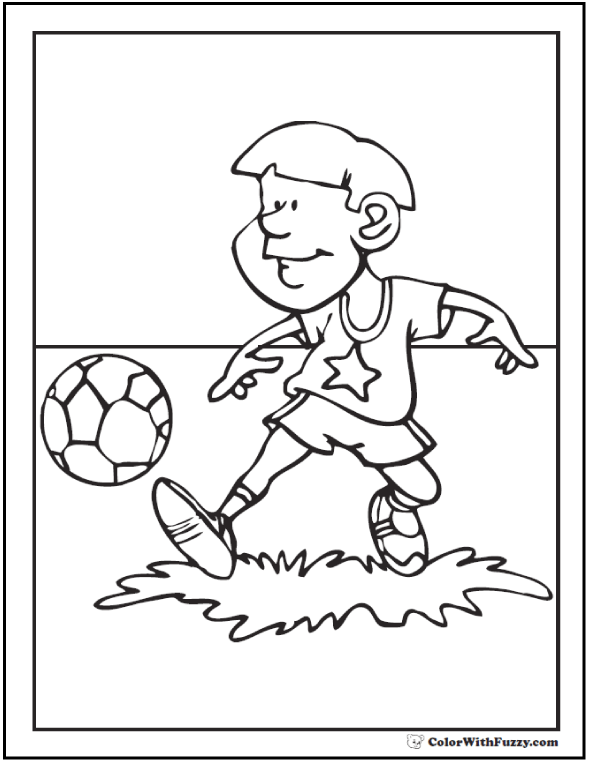 You can also learn some awesome soccer moves while you learn teamwork. 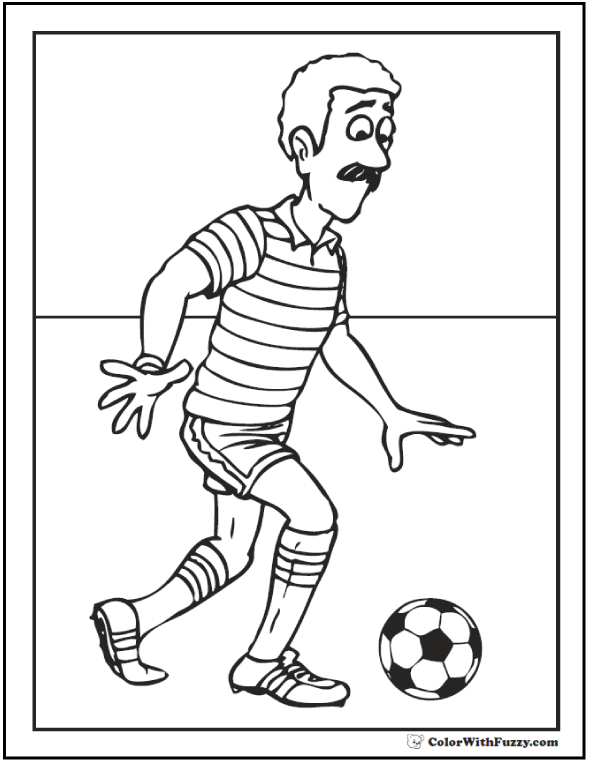 I have friends who play soccer and they live it like a lifestyle. 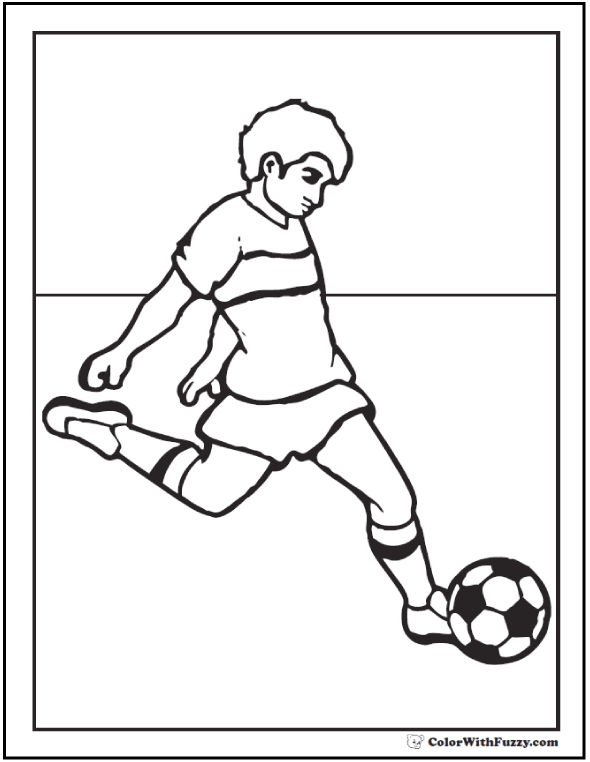 They train how to kick, pass, dribble and shoot the ball. 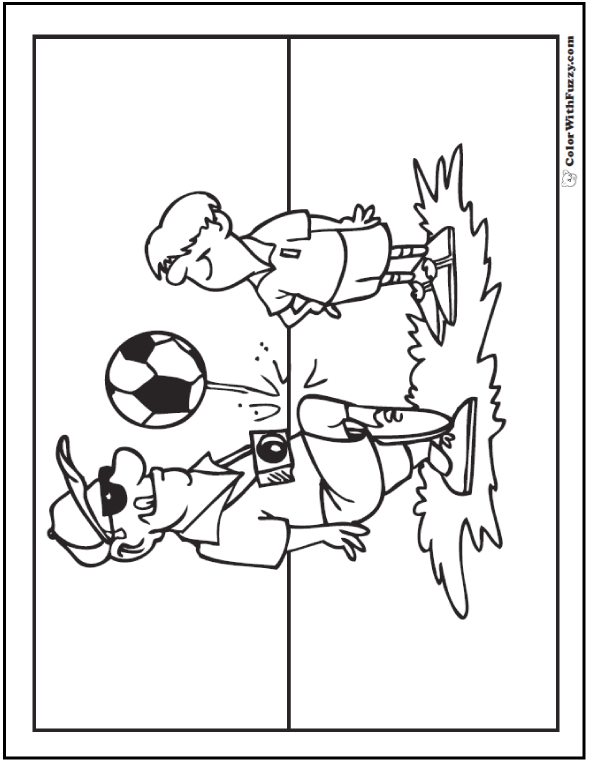 I even like to watch the youth soccer league practice. 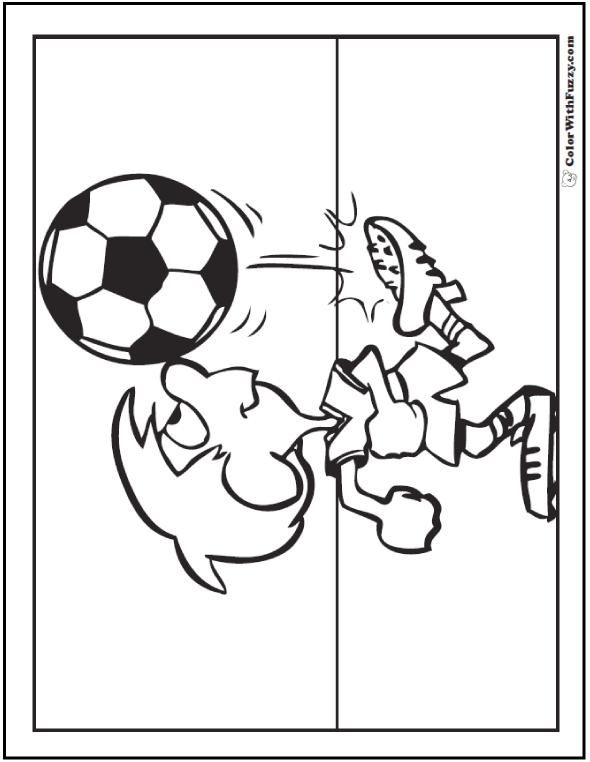 It is amazing to drive past one of the soccer fields near my house here in the United States. 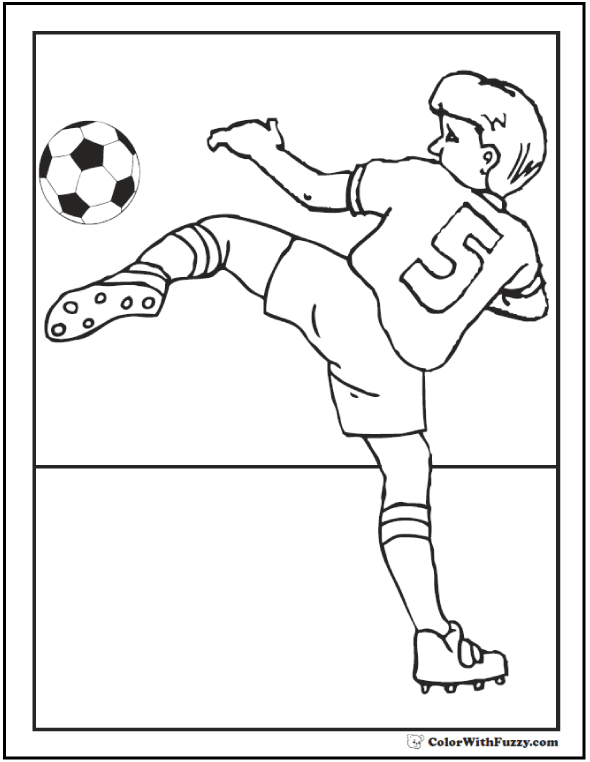 It's not one soccer field, but six! 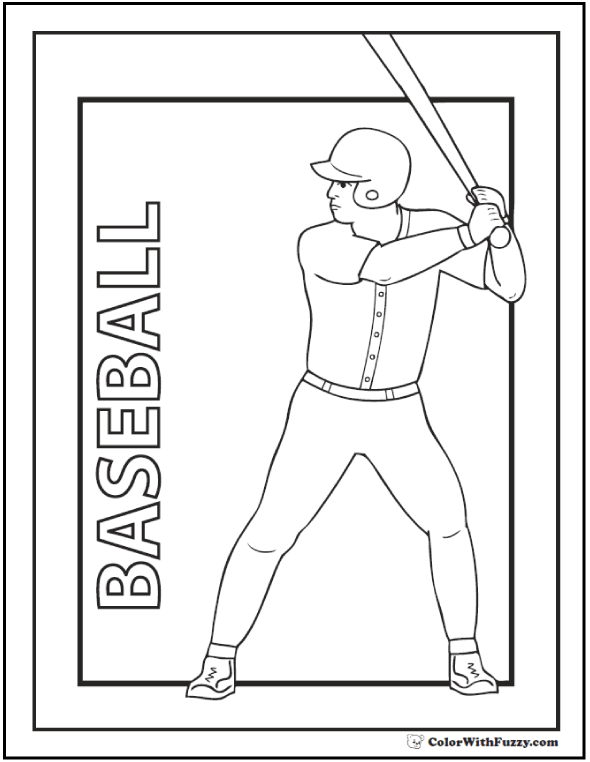 There are huge parking lots and a building to keep offices and gear for marking and maintaining the field. 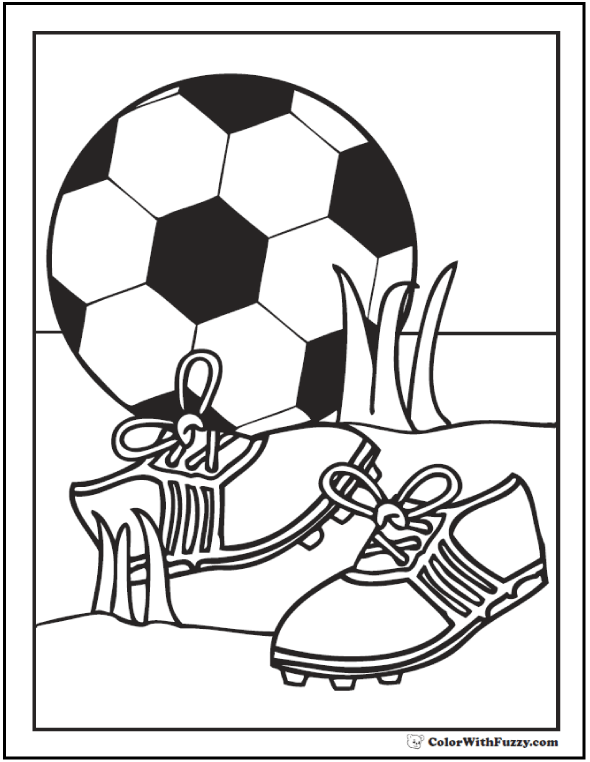 He also says, "You may also need a bag to carry belongings and equipment to practice as well as cones and a small goal for practice at home." 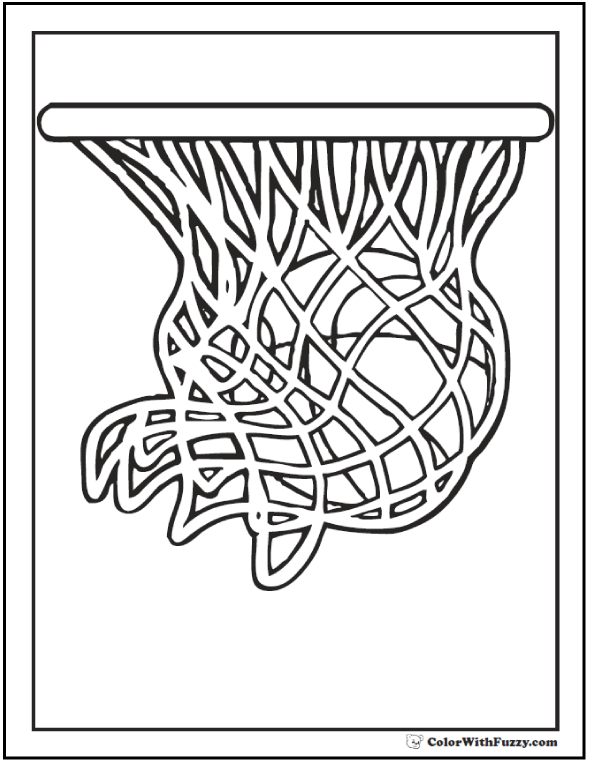 The main thing? 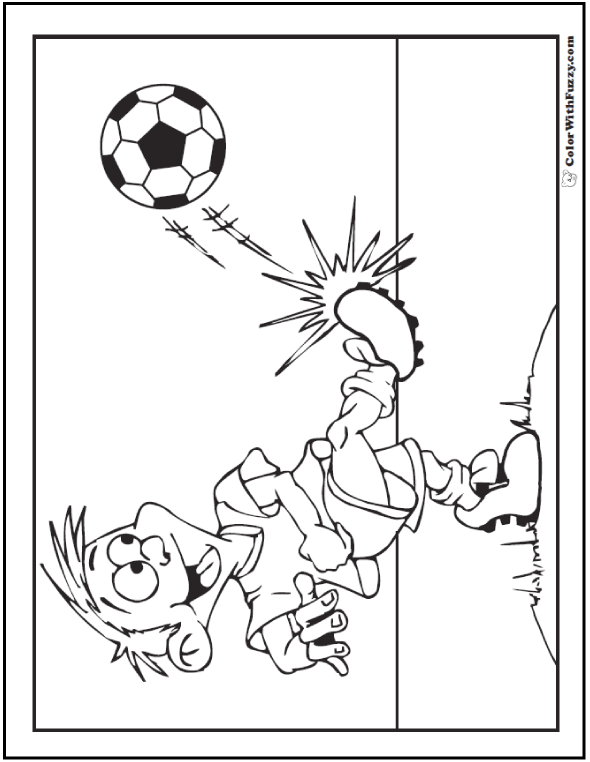 Be safe, be a good sport, and have fun!